The 2016 version of the past year FatSix bestseller! Again in the popular expedition look and with all that defines a XDURO Fatbike! 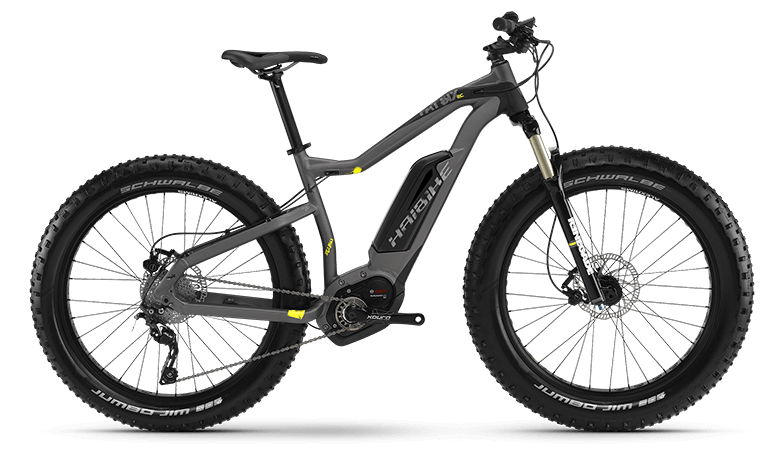 While in normal eFatbikes the motor is positioned assymetrically due to the wider rear tire, the motor of our FatSix is positioned perfectly centric due to a special drive sprocket. Here the FatSix RX, our new high-class model in matt stealth look and attractive lime details. Once driven, you will be lost for words.